Sub-division and complete refurbishment of a redundant nightclub (Brannigans) and the adjacent construction of a new café unit at Crawley Leisure Park. The existing Brannigans unit was split into three new self contained restaurant units each with its own new entrance. The existing full height glazed entrance was re-configured to form a double height space comprising of a lobby area, lift shaft and free standing staircase to the first floor. 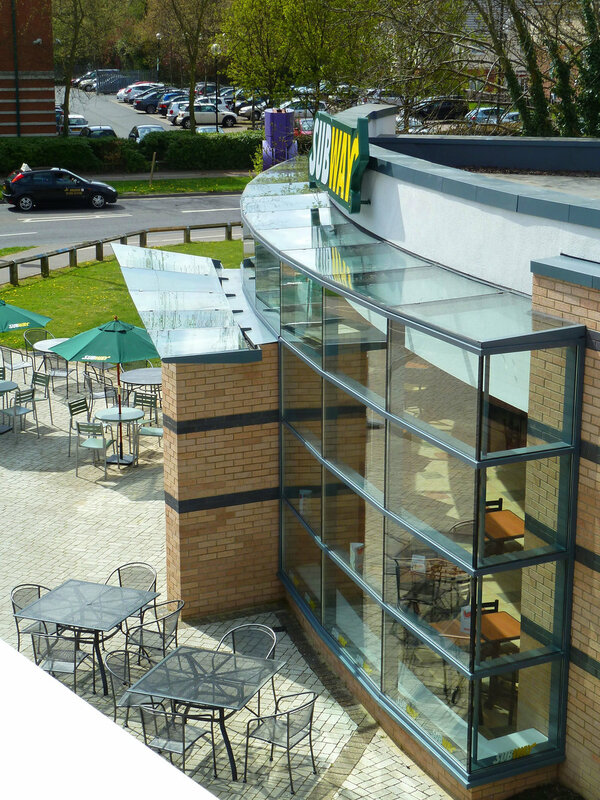 The Café unit has been designed as a modern addition to the leisure park with a simple curved glass façade that is intended to echo the curved perimeter to the Piazza that it sits on and provide a focus to the pedestrian entrance of the leisure park.